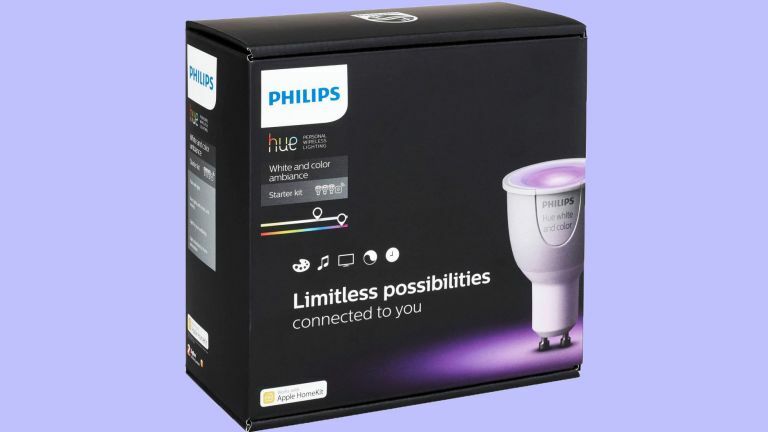 The Black Friday deals season is now upon us and, as you would expect, there are already some superb Philips Hue GU10 Spotlight bulb deals available. The Philips Hue GU10 spotlight bulbs are one of the newest members of the Philips Hue family and are increasingly popular with many modern-build homes. Kitchen ceilings and recessed lighting around shelving units or alcoves are the sort of places you might typically find them. With such lighting, you need to be extra careful when buying bulbs to make sure they are compatible, so take a look at the connections in the images before you buy to avoid disappointment. You'll find the latest prices for the Philips Hue GU10 bulbs in both the White Ambiance and Colour Ambiance varieties below. Philips don't seem to make a regular white Hue spotlight bulb at this time. Don't forget, you'll need a Philips Hue Bridge, found in the Philip Hue Starter Kits, to take advantage of colour and temperature changes in these GU10 spotlight bulbs. Let's not ignore the obvious here, the Philips Hue GU10 spotlight bulbs aren't cheap, especially for these Colour Ambiance versions. It's worth noting that regular screw-in or bayonet Philips Hue bulbs are the same price and are much more capable of illuminating a whole room than a GU10, where more than one bulb is the norm in most rooms. We are seeing a few double bulb packs start to hit shelves now, so hopefully the prices will come down a bit soon. The Philips Hue White Ambiance GU10 bulbs are much cheaper than the colour ones and certainly worth a look if the default sterile white light of your regular bulbs just isn't the look you want in your home. Being able to adjust the 'temperatures' of the white light via the app allows for a much more natural light, with a soft golden glow being our favorite, especially when the weather outside is a bit grim. Like the colour packs, money can be saved if you find a double bulb pack, but there's not many around at this time. We're expecting more to arrive soon though.